Let’s state it straight every VBA developer is happy, when he can protect his own code. The VBE password is not secure protection, everyone with a few free hours and a good internet access can go around it. Thus, I was looking for possible solutions in that area, and the best one in the net that I found was Unviewable+. Pretty decent idea, eh? The idea of making a viewable copy of the project (that still can be opened the normal way) in the same directory can probably save lots of nerves and a panic attack to the VBA developers. This is how it look like. 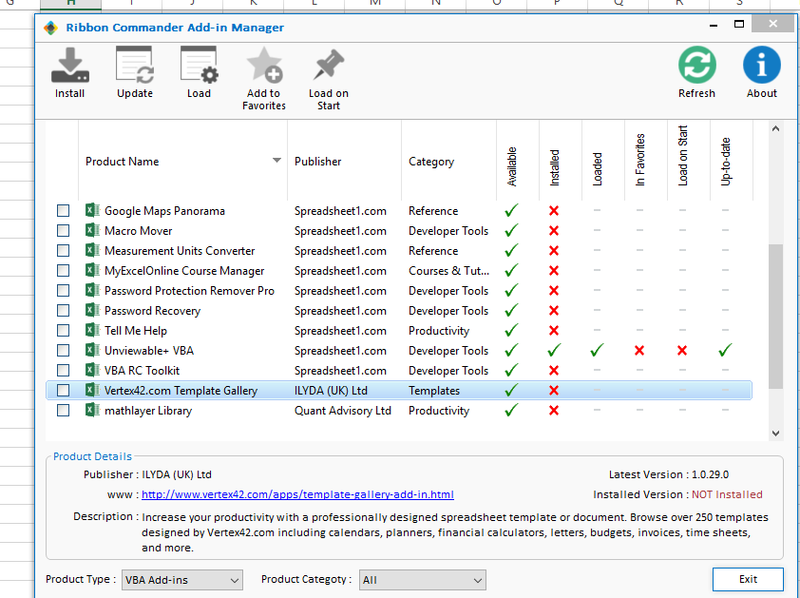 You create a simple VBA project. Then you call the Unviewable+ from the ribbon. Now is the time to exit the Excel file and to select the file that should be locked. The window stays. 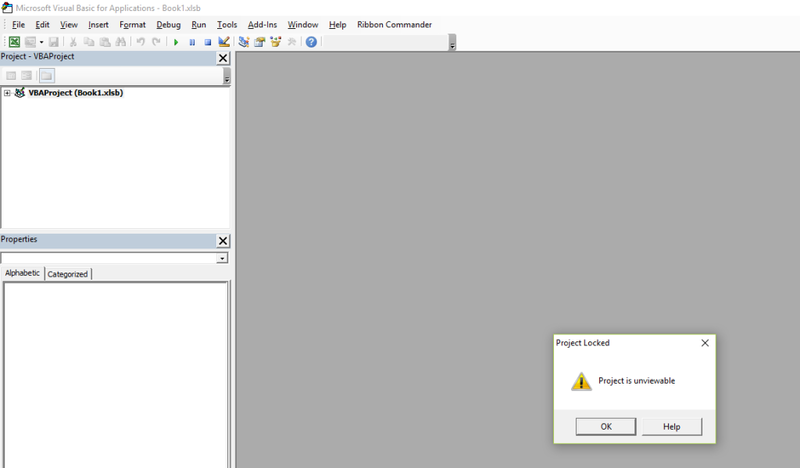 After you click “Protect VBA Project” it does it its job. So well, that there is no turning back. So, if we have to summarize, the Unviewable+ is exactly what you need to protect your job. Nobody (including yourself) can open your code, once it is put through that program (at least I did not find anything possible).